Carys is a singer songwriter based in Suffolk with an enthusiastic and evocative stage presence displaying a natural charm that have won her many admirers, not only within the folk scene, but also far beyond it. Her musical partnership with UK synth veteran David Wright and the avant-garde rock band Code Indigo have won many plaudits from fans and media alike. The CDs ‘Take the Money and Run’ and the critically acclaimed 2017 release ‘Prophecy’ were followed by a series of successful UK and European concerts, including two nights supporting music legends Tangerine Dream. Her continued involvement in folk music include many local events and folk sessions. In 2011 Carys teamed up with singer Rosemary Griffith to form the duo Celandine and recorded the CD ‘She’s Like the Swallow’ in 2015. 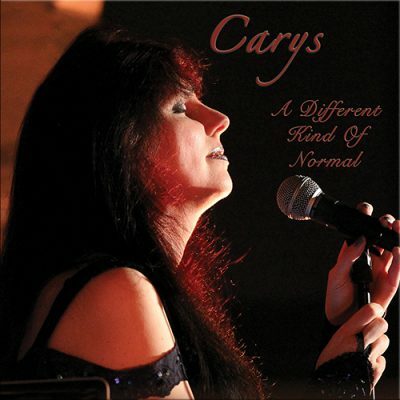 Carys has Asperger syndrome and she came to realise that her mind has a unique way of producing some interesting songs. Her first solo album ‘A Different Kind Of Normal’ certainly reflects that with its roots firmly in folk, but also dipping into rock, pop and em. And as she explains with a smile when discussing the album; “The title describes me perfectly”. Carys is a unique talent, beautifully interpreting her own composed material and traditional songs alike as well as showcasing her beautiful and evocative vocal textures within ambient electronic music.